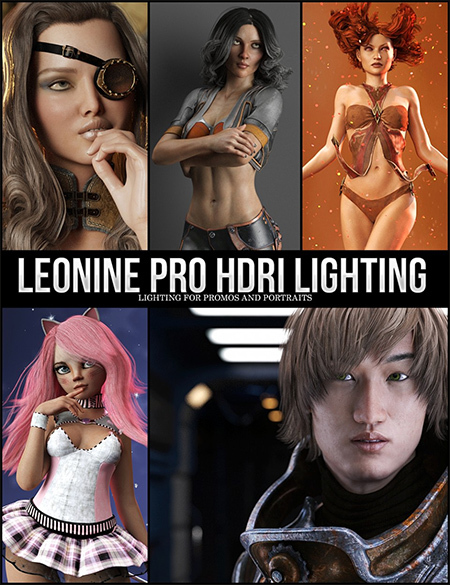 As a Published Artist at Daz 3D, I hate fussy lighting when I do my promos. I want it simple and I want it to look good. I don’t usually have a lot of time to play around with a lot of setups. My character needs to look interesting and be well enough lit that I can see all the good details. These are meant to be studio light setups and unfortunately, do not make awesome backgrounds. I recommend using a backdrop to really customize your portraits! That’s what I do!